Clean drinking water is essential to good health for you and your family. 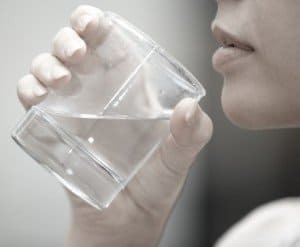 If you live in an area where the tap water is acidic, it is smart to purchase an alkaline water machine which can restore a proper pH balance to the fluids you’re drinking. If you do this, you neutralize acid buildup in your body. This has a restorative effect on your general health and overall well-being and can result in a reduction of fatigue, acid reflux, high blood pressure, and other health problems. 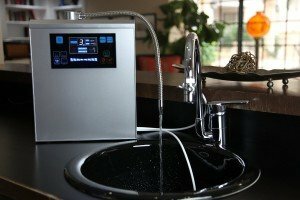 Shopping for a water ionizer is no easy task, however, as there is a lot of misinformation out there, and sad to say, a lot of scams as well. To keep from getting pulled in by the hucksters, you need to know what features are important in an alkaline water machine. 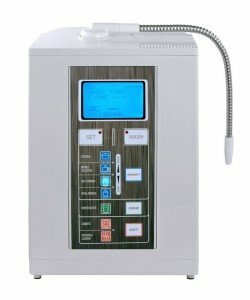 1 How to Choose an Alkaline Water Machine? How to Choose an Alkaline Water Machine? Let’s talk about each in turn. A good water filter is essential to clean drinking water. Filters: You will find machines with single or dual filter systems. 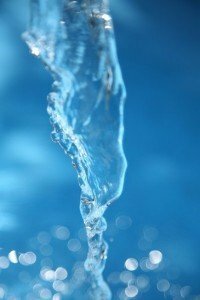 Filters are important to remove the impurities from your water. The dual systems are superior to the single filter systems. The single filter systems may be all right if your water is already relatively pure, but if the quality is really bad out of the tap, go for the double filter system. The life & cost of replacement filters is another consideration since this will impact the time & money it takes to maintain your unit. Plates: Three main types of plates exist: flat and solid, mesh, and slotted. Generally speaking, the flat, solid plates are better than the slotted and mesh plates. They are easier to clean and are more durable. The mesh and slotted plates cost less and are lighter-weight, but they offer you no lasting benefits. The solid plates will increase the overall life of your filtration system. Also note that the more plates you have, the more powerful your ionizer will be—up to a point. The usefulness maxes out around seven plates. Anything with three plates or fewer is considered a cheap and fairly ineffectual product. A quality alkaline water machine should be able to provide both alkaline & acidic water and produce a relatively high negative ORP value. When selecting a machine, look for a Ph range of about 4-11 and at least a negative 800 ORP. The Ph scale spans from 0-14 with 7 being neutral. Alkaline water used for drinking should be in the 7+ range, but not to exceed 10. The suggested Ph values for drinking alkaline ionized water begin at 8.5 when just starting out, then gradually increase to 9.5 if needed. Higher alkaline levels (10+) can be used for cleaning. Lower Ph values are more corrosive and used for disinfecting tasks. For example – you can use it to rinse your vegetables & reduce bacteria. When our tap water is tested with a lower Ph value, it is more prone to leach the minerals from our pipes. While the Ph value isn’t necessarily harmful, if these metals from our plumbing systems are ingested on a regular basis it can eventually lead to health problems. (Source: UMass.edu). This is why we need to be careful about the quality & Ph value of our drinking water. Notice the control buttons where you can select the Ph by intended use – pretty cool! One of the reasons we like the Aqua-Ionizer Deluxe model is because of the easy to set control panel – you can choose your Ph value based on task: Drinking Water, Cleaning, Cooking or Face Cleansing. ORP (Oxygen Reduction Potential) is a measurement of the number of electrons stored in the water and one of the real benefits of using an alkaline water ionizer. Water with a higher negative ORP number is more efficient in reducing the free radicals that cause cell damage & speed up the aging process. A higher negative number, in this case, is a good thing. There are a few of scams you are going to need to steer clear of when you are shopping for ionizers. Basically, the misinformation centers largely on the plates I just discussed. • “You need even MORE plates!” You will see machines for sale with nine or 11 plates, and sometimes even more. You will pay a surplus for these plates, and they really do not do you any good. Again, five- or seven-plate models are the best. The five-plate model is reasonably effective, and if you can afford to pay more, the seven-plate model is the best—and gives you everything you need for safe, clean, alkalized drinking water. • “Beware of platinum and titanium poisoning!” These scare tactics seem to be designed to upsell you on expensive products containing medical-grade materials that you do not really need. No cases of titanium or platinum poisoning from water ionizers have been reported, so this is all a lot of nonsense. One more feature you should pay special attention to is cleaning. Some alkaline water machines will clean themselves when they turn on and off. These machines not only reduce the manual labor needed on your end but also help to prevent the buildup of calcium deposits. If you live in an area with hard water, this is very important. When the plates stay clean, they work better and put less strain on the system. This will lengthen the lifetime of the machine, especially if you have one powered by a transformer. Solid plates, not mesh or slotted plates. A machine with five or seven plates. You do not need more! Stay away from three-plate systems, which are not very good. Self-cleaning functionality to prevent calcium buildup and save you time and work. Ph range of 4-11 & ORP at negative 800. Steer clear of machines sold by scammers who are trying to scare you with their fear-mongering about titanium and platinum poisoning. The Bawell Alkaline Water Ionizer is one of our favorites. Read the full review here. You don’t need to spend thousands and thousands of dollars to get a good quality machine – in fact you can find some on sale for a little less than $1k. But you don’t want to skimp and get the cheapest machine either. An average price is closer to $2,000. Look for a machine that hits most of our bullet points & you will get a long-lasting, reliable, powerful filtration system which will give you clean, safe alkaline drinking water for many years to come. Our favorites models that hit all the marks for us are the Aqua Ionizer Deluxe 7.0 by Air Water Life & the Platinum Alkaline Water Ionizer Machine by Bawell. Both are solid machines from reputable companies. But also check our comparison guide to see how other companies stack up.